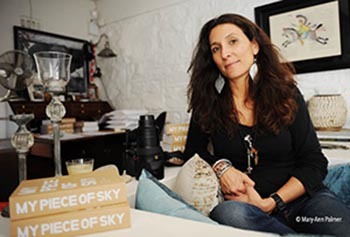 Mariella Furrer is a Swiss/Lebanese photojournalist who has lived in Africa her whole life. She attended the Documentary Photography & Photojournalism Program at the International Center of Photography in New York. Since her graduation, Mariella has worked as a freelance photojournalist based in Kenya. Mariella was awarded an Amnesty International Media Award in 2011 for this work, a grant from 3P (Photographers Pro Photography) Foundation, France, in 2005, and a grant from the Hasselblad Foundation, Sweden, in 2003. She was shortlisted for The Anthropographia Award for Photography and Human Rights (2010), received a Honourable Mention from Unicef’s Photographer of the Year Award, 2005, and was nominated for Sante Fe Prize for Photography, 2007. Her work has appeared in a wide variety of publications including: Time, Newsweek, Life, New York Times, Marie Claire, Outside Magazine, Talk Magazine, Paris Match and Der Spiegel. She has also participated in several book projects and shown her work at group exhibitions.